Extreme High Temperature Anti Seize/Grease | Ultra High Temps | Superior Industries, Inc.
Sending your question... Please Wait! Thank You For Submitting Your Question. We Will Get Back To You Shortly. Extremely high temperatures demand the toughest lubricants available-lubricants that maintain a durable viscosity and stay in place without melting or baking out when exposed to extremely high heat. SL-HT 1000 coats bearings, threads, gaskets, fittings, and seals with a semi-solid anti-seize grease that will not separate or carbonize at high pressures and temperatures up to 2200°F (1204°C). This extreme temperature anti-seize grease also protects low-speed bearings at speeds below 100 RPM. Please contact our technical team for recommendations if you are looking for a lubricant for bearings at speeds over 100 RPM. For constant heavy loads and extremely high temperatures, nothing beats SL-HT 1000 for sealing, protecting, and lubricating machinery. The unique synthetic ingredients ensure that this extreme temperature anti-seize bearing grease will not separate, change texture, channel, or leave a residue on bearings, threads, gaskets, or moving parts. 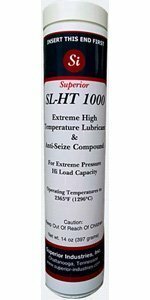 Designed for extreme heat and extreme load capacity, SL-HT 1000 combines a unique synthetic formula to maintain thermal stability and viscosity at temperatures up to 2200°F (1204°C). Only the finest ingredients are selected to make up this extreme high temperature bearing grease to ensure a dependable, long-lasting, tougher-than-nails lubricant. When temperatures spike and pressure heightens, SL-HT 1000 will not change consistency, color, or composition, as opposed to petroleum-based greases which melt or bake out at high temperatures and leave behind carbon residue. 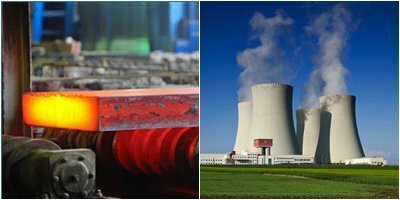 This high degree of stability is essential for industries that utilize constant or intermittent heat at temperatures which push other lubricants (as well as metals, plastics, and other materials) to the breaking point. SL-HT 1000 demonstrates high performance thermal stability in the oil and gas and mining industries, as well as nuclear power plants, steel mills, construction sites, boiler rooms, kilns, and textile, glass, paper, aviation, metal, and tire manufacturing plants. 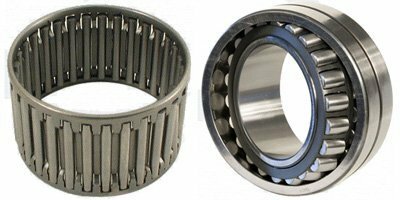 This high temperature anti-seize bearing grease excels at protecting not only bearings, but a variety of metal mechanical components. SL-HT 1000 actively protects threads and moving parts from seizing, which can lead to pitted or galled metal. This anti-seize bearing grease also ensures that bolts, nuts, flanges, and gaskets can be easily disassembled as needed by preventing metal surfaces from bonding to each other. Provide an effective solution for maintaining large anchoring bolts with this reliable anti-seize high temperature grease. SL-HT 1000 serves as an excellent sealant for gaskets and threaded fittings to prevent moisture, water, or other liquids from seeping through. It can also be used as a high temperature mould release in certain applications. With excellent adhesion to metal at high temperatures and an above-average service life, SL-HT 1000 stands out as the go-to extreme heat bearing grease. SL-HT 1000’s chemical compound features synthetic bases and a special Molybdenum additive, a knockout combination that creates an outstanding, high-quality lubricant that will not fail. 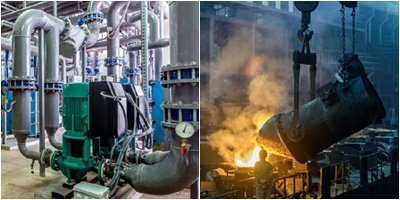 It is used widely in mining, drilling, industrial, chemical, and agricultural applications, as well as conveyor systems and furnace valves. 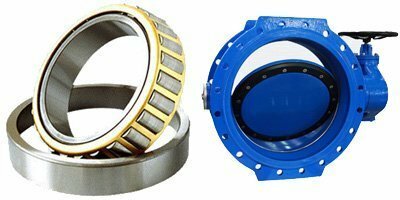 This ultra-high temperature anti-seize lubricant is an ideal bearing grease for industrial ovens, as slow-moving bearings require frequent lubrication and protection against seized metal, especially heavily-loaded “stop and start” bearings. Prevent seizing on contractor vehicles, mining vehicles, tenter frames, roll-out tables, and furnace trolleys with the unstoppable SL-HT 1000. SL-HT 1000 provides essential rust and corrosion protection to bearings, threaded surfaces, manifolds, bushings, and other moving parts, keeping pitting, galvanic action and thread distortion to a minimum. SL-HT 1000 is impervious to water and offers protection from steam, most acids, caustics, and harsh chemicals. This extreme temperature anti-seize bearing grease defends metal surfaces from constant water washout and salt spray. 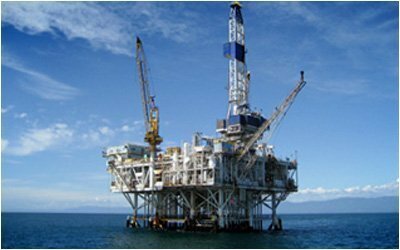 It makes for an excellent choice of grease in marine, chemical processing, and manufacturing environments. As a sealant, SL-HT 1000 protects pipes and machinery from water contamination and potential corrosion by sealing bolts, flanges, valves, pumps, and gaskets despite high temperatures. This lubricant will not dry out or change consistency when exposed to steam, detergents, or salt water. This results in fewer and less frequent grease re-applications and protected, workable threads. This extreme high temperature bearing grease proves itself to be multi-functional, long-lasting, and impervious to extreme heat in almost any type of oven, foundry, or high temperature environment. Loosen threads, protect sliding parts, lubricate bearings, and guard against mechanical abrasion and shear with SL-HT 1000. Saving your subscription... Please Wait! Thank you for subscribing. We will send you an email whenever we have anything new on this product. © 2019 Superior Industries, Inc.